Our ninth issue, the last of the millennium, comes in the same month that George Ivanovich Gurdjieff died in Paris fifty years ago. This provides an occasion to consider the rich multi-faceted portrait of him that the future will inherit. These selected excerpts on philosophy, religion, science, and psychology are drawn from key passages of Gurdjieffs writings and notes on his talks. This synopsis is drawn from the authors Gurdjieff: a Reading Guide. It briefly sketches the contents and publication history of Gurdjieffs writings and the notes that have been published of his talks. 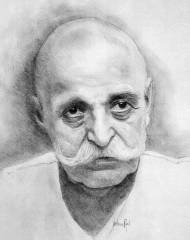 Drawing on excerpts from the lesser known but unexpectedly rich secondary literature, Lipsey assembles a vivid composite portrait of Gurdjieff and the ontological challenge he presented to everyone around him. In so doing, he provides an excellent introductory survey of the anecdotal literature about Gurdjieff. Professor Needleman surveys those aspects of Gurdjieffs life and teaching that are of signal importance for anyone approaching this influential spiritual teacher for the first time. He traces how Gurdjieffs influence is becoming a factor in contemporary civilization and describes the international activities of The Gurdjieff Foundation. Tracol characterizes what is essential in the Gurdjieff teaching as a call to place myself interiorly in relation to what presents itself from the outside. He emphasizes that this teaching guards against dependence on credulity, dogma and subjectivity.